Nobody tells you before you have your little bundle of joy that once they are here you have to make frequent trips to the baby clinic to have your baby weighed. I was very fortunate that as we had two babies to contend with, the midwife would come and visit me at home for the first couple of weeks. However, once the twins were a little older and they could see we were managing well, it was time to make the trips down to the clinic. This should have been straight forward. Turn up at the Children’s Centre, put babies on the scales, get their weights recorded and off we go on our merry way. You may have gathered from my other posts that I like to be fairly organised. Ok…really organised. Like, OCD organised. I can’t help it. It’s the way I have to function else I feel completely out of control and will probably cry. So you can imagine my thought process as the baby clinic day was fast approaching. What time do I give the babies their feed before we leave? Is the baby bag packed and ready to go? Do I have enough bottles and milk? Are the nappies and wet wipes in the bag? How long will it take me to get to the clinic? Will I have enough time to get back home to feed the babies or will I need to feed them there? Shall I shower the night before so that I don’t have to worry about drying my hair before we leave? What if one baby cries whilst I’m out and I can’t sooth them? YES all of this went on in my tiny little head. Stupid anxiety. So, knowing the time that I needed to leave the house, I worked backwards to schedule when I needed to do everything else: pack the bag first thing, get myself ready for the day (I was lucky to have 7 minutes for this), give the babies their feed at 9.30am, change nappies, set up the pram, put the coats on the babies, strap them into the pram, put my coat on then time to leave. However, I made the fatal error of not scheduling in some ‘danger time’. This would be for unplanned events, such as projectile vomit / a poo explosion / one baby refusing to take their feed etc etc… ummm. So, of course, the babies tried to test me and hit me with these impromptu events (did they not get the memo that we were on a tight schedule?!) But, I kept my cool, cleared up the vomit, washed away the horrendous poo fest, eventually got my fussy baby to take her feed (bet you can guess which baby that was? ), put them in the pram and we were finally out of the door, ready to walk to the clinic. Now, you would think that was the stressful bit over. All I needed to do now was to get to the clinic, which was only a 15 minute walk away. I can do this. I can do this. Taking your babies to an appointment. This can be a very anxious time for a new parent. A new setting, staff and not to mention trying to get your new babies there successfully! Here I share my worries about attending new appointments with my babies. The worries went on. I picked up Beatrice whilst trying to pacify Francis in his carrycot. I’ve got this. I can do this. I’ll only have to wait for a few minutes, we’ll be seen and then we can escape and run back home. That was when I realised how long each baby’s weighing time was taking. Don’t get me wrong, I think it’s wonderful that the lovely ladies spent quality time talking to each parent as they weighed their babies, but when you’ve got to be home in 50 minutes for the next feed, you want this to be quick. Come on ladies, could we not make this into a bit of a conveyor belt?? On, weigh, off, next baby, on, weigh, off, next baby…???? So now, not only was I trying to pacify two month old twins, I was also stressing about the time limit too. Breathe. Just breathe. Nobody wants a passed out mum to deal with too. FINALLY (HURRRAH!!) it was our turn. Now to strip down each baby. Of course, as soon as the nappy came off I was greeted by the biggest wee I have ever had to deal with. I mean…it was like a tsunami. As I attempted to salvage what was left of the sleep suit, I fumbled around trying to get the new nappy on (why is it that I change 200 of these blimmin’ nappies a day with my eyes closed, but as soon as I’m in front of anyone I cannot work out which way is the front or back??) get the sleep suit back on and repeat with the next twin. Deja vu much? After the second baby had finished, I then needed assistance to help me get back to the pram (this is the logistical problem with twins, you can’t leave one baby whilst you deal with the other). They kindly helped and I was finally on my way home. I had 7 minutes before the next feed so I sprinted as fast as I could before the babies started wailing uncontrollably. So there you have it, a ridiculous account of a new twin mum taking her two month old twins to the clinic. Of course, all of these worries and anxieties are in my head. The staff were extremely lovely and welcoming and I don’t think they could have done any more to help me. I can tell, with practise and time, my confidence will grow and soon I’ll be able to do these things without really worrying at all. Experiences from a twin mumma. Do you get anxious or nervous about attending new appointments with your little ones? How do you overcome these worries? Do you get ridiculously worried about the jobs you have to do as a new mum? Have you had an experience similar to mine? I’d love to hear your experiences. HAAAAAA! Sorry, excuse me whilst I laugh at my pre-parent naivety. I hate to break it to all of those parents-to-be…but life really does change when you have babies, quite a lot. Actually, more than you can imagine. 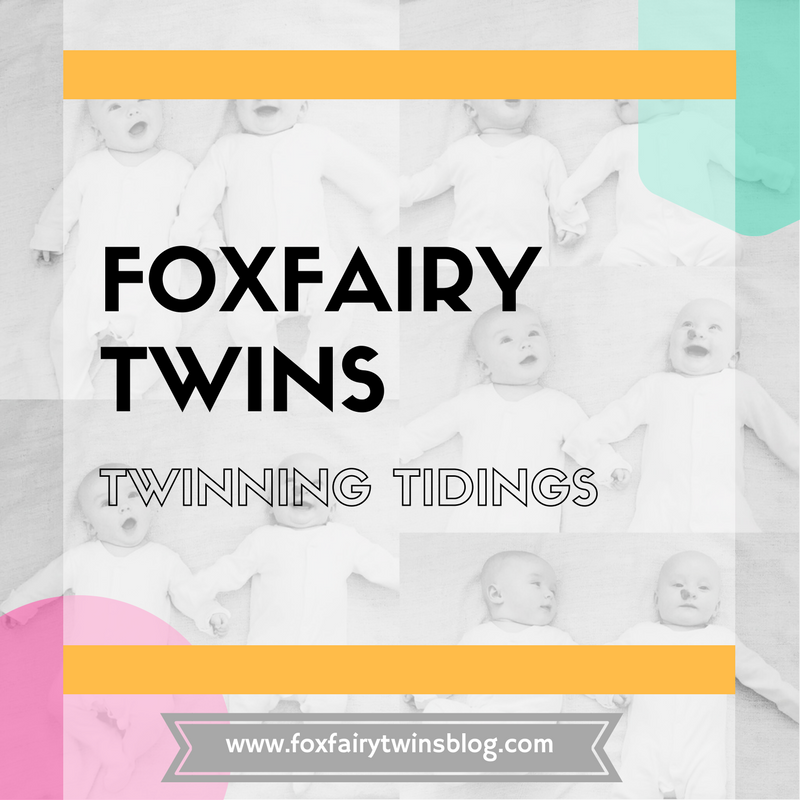 Being a twin mumma has brought along its smiles, hilarities and tribulations. As we have survived keeping the babies alive for a massive five months *high five to that! I began to reflect on how our lives really have changed. What are the things that you love about being a parent? What do you miss from your child-free life? I miss: How I used to sleep all night. ALL night. Uninterrupted, eight hours of blissful sleep. I miss sleep. What highlights do your little ones bring to your life? I miss: Not having to get dressed in stages as there’s a baby crying / someone’s vomited / I need to express / one baby has got hold of something that they shouldn’t have (how do they do that?) All I want to do is change my underwear, is that so much to ask? I love: Watching the twin relationship begin to develop. How lucky are they to have each other? Experiences from a twin mumma. What are the things you love about being a mum? What things do you miss from your child-free life? I love: How tiny their little hands and feet are. How can it be possible? What Do You Love and Miss? What do you love about being a mumma? What are the things you miss from your child-free life?